Mawdesley Amateur Dramatics Society presents Witness for the Prosecution. 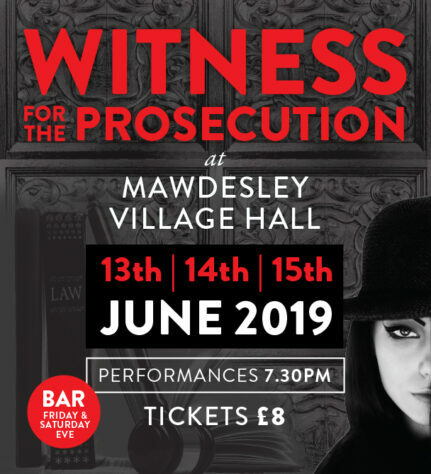 Mawdesley Amateur Dramatics Society (MADS) is a well established drama group based at Mawdesley Village Hall in the picturesque village of Mawdesley in Lancashire. The society was created in the early 1970s by members of the local WI. In 1974 after the official opening of the new Mawdesley Village Hall local resident and WI President Jane Forrest was asked to produce a pantomime. This production of Cinderella was so successful that members of the cast decided to form a drama society and Mawdesley Amateur Dramatics Society was born. 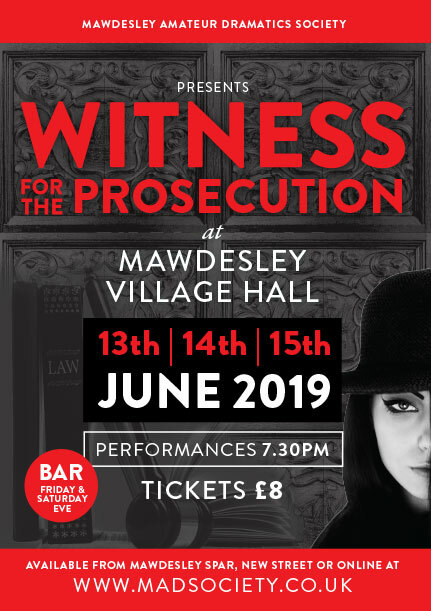 © Mawdesley Amateur Dramatics, 2019. All Rights Reserved.